Singapore Airlines (SIA), Skytrax’s number 1 airline in the world, will be offering its new menu this 1st quarter of 2019. Every quarter, Singapore Airlines refreshes the inflight menu which includes recipes by the airline’s International Culinary Panel (ICP) chefs. These eight award-winning chefs from all over the world contribute to every meal served onboard. Ingredients are meticulously sourced from abroad or local farming communities and passengers can be assured that the freshest and best items go into every dish they prepare. For the first quarter of 2019, First Class passengers will enjoy a four-course meal conceptualised by iconic Australian chef and celebrated restaurant owner Matt Moran. His inflight creations include Lobster with Asparagus/Tomato, Grilled Beef with Chimichurri Sauce, and Coconut Panna Cotta. Alfred Portale, a famous American chef and restaurateur, whipped up an equally delicious meal for all Business Class passengers. His menu includes Chicken with Bayaldi Vegetables and Prawns with Pineapple, Ginger, Apple and Coriander Sprig in Lemon & Olive Oil Dressing. During the last quarter of 2018, yours truly got invited to this exclusive menu tasting at the MacroAsia Catering Services (MACS) facility right beside the airport. 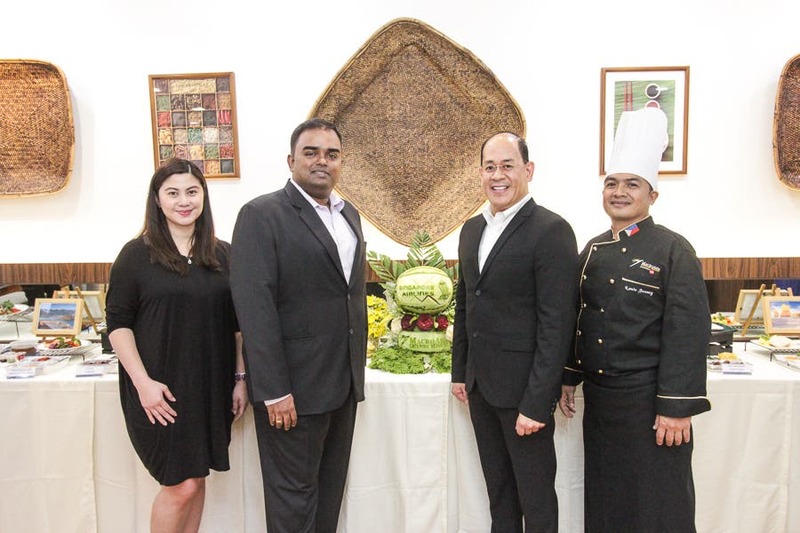 Aside from the menu tasting, another highlight of the event was the celebration of Singapore Airlines’ and MacroAsia Catering Services’ (MACS) partnership of over 20 years. In case you didn’t know, MacroAsia Catering Services (MACS) is the leading and most-preferred airline caterer in the Philippines, providing industry-leading catering products and services to the passengers flying on SIA flights from the Philippines. Economy class passengers will also be served with healthy and satisfying meals onboard apart from the comfortable seats and a range of entertainment options. This is SIA’s way of letting their customers enjoy the complete travel experience. This new meal series will be available from January to March 2019. Visit singaporeair.com for more details. For inquiries, call SIA Manila Reservations at (02) 756-8888. Need Breakfast on-the-go? Grab Yellow Cab’s My Size Breakfast Pizza!